The CNA salary in Indiana can vary depending on the type of medical center or facility and the city you are employed in. 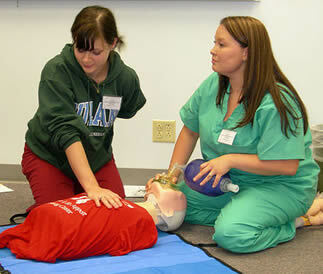 Working together with doctors and nurses are certified nursing assistants. They render quality health care services to various clients and they are being supervised by licensed vocational nurses as well as registered nurses. Currently there is a growing need for these employees that is expected to grow for the coming years. With the kind of work CNAs render, the salaries that they receive while working in Indiana is indeed reasonable. Annually, certified nursing assistants in Indiana earn an average annual wage of about $19,000 to $30,000. The salary varies depending on several factors. First, the location plays an impact on how much CNAs receive. The urban areas are offering higher wages in comparison to suburban areas. Rural areas usually offer the lowest wages because of its low cost of living. Second, it is essential that CNAs have work experience. There are employers who offer jobs to individuals who have the willingness to be trained as CNA and in return they will work for the employer in a given span of time. This will allow workers to gain work experience. With more experience and exposure to the work environment, they will be able to receive increased wages. Also, they will have greater opportunities to apply for job who are offering higher salary wages. If they opt of getting a better paying job that offers great benefits, then they can work in facilities that require work experience. Third, CNA salary in Indiana is dependent on how much employers offer their employees. Sought-after employers like hospitals and government agencies offer higher salary wages especially because they hire certified nursing assistants with a minimum of one year experience. CNAs that already have work experience are compensated well with higher income. Salaries of certified nursing assistants can be decided by themselves. CNAs can also take into consideration of making themselves as employers. In this way, they can earn more as they will be the ones to seek clients to hire them. Being a self employed worker does typically earn more pay, however this comes at the expense of other benefits that may have otherwise been provided by an employer. To become certified and eligible to work in the health care field for this profession one must take CNA classes in Indiana. School training generally takes about 105 hours and covers the medical skills utilized on the job, as well as the classroom instruction necessary to pass the state exams.